Yonkers, NY (October 1, 2018) – According to authorities, a vehicle collided into a doctor’s office after being involved in a car accident outside the building on Monday, October 1. The crash took place at approximately 9:15 a.m. on South Broadway in Yonkers when the driver of a car crashed through the front window and came to a rest in the office lobby. Yonkers police have reason to believe that the 68-year-old driver, who has not been identified, may have had a medical episode that caused him to get into the initial accident before he crashed into the medical building. Police said that the man was involved in a minor accident and then struck the office building while attempting to reverse his vehicle. The crash that occurred outside of the office caused those who were in the lobby to step outside and view the commotion. Due to the recently emptied lobby, no one inside the building was injured. However, the driver was reported to have suffered injuries, although it is unclear as to whether or not those injuries were sustained in the first or second crash. Police are conducting an investigation into the accident. We would like to offer our sympathies to the injured driver as we hope for his full recovery. In the event that the first collision was caused by the other vehicle involved, the injured party may be granted grounds to seek compensation. 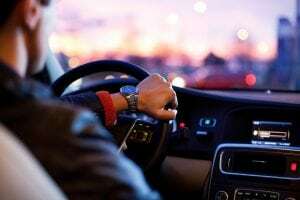 A car accident in New York can happen for a multitude of reasons and it is vital for victims to understand that they have rights. Investigators will be determining whether or not the injured driver suffered a medical episode or if a mechanical failure or other reason caused his vehicle to careen through the building. An experienced New York accident attorney can help the victim navigate the stressful path that follows a sudden accident. At Hach & Rose, we are understanding of the many different factors that can cause an accident, and we specialize in holding negligent drivers and other entities accountable for their actions. If you have been hurt by a negligent party, do not hesitate to call us at 212-779-0057.